I kept questioning how this could happen to me. I was a healthy, 35 year old nonsmoker, and a mom of two great children. I came to learn that you don’t have to be a smoker to get lung cancer. Honestly even if one was a smoker, would it matter? No one should have to go through this terrible journey. Soon after my diagnosis I saw a surgeon and was told that I was not a candidate for surgery, as my cancer had metastasized to the surrounding lymph nodes. Instead of surgery, I was scheduled for 35 sessions of radiation and two rounds of chemo infusion, believing that if the treatment was effective that surgery could be an option to remove the remaining cancer. After my initial chemo and radiation was complete the tumor in my lung had shrunk considerably and lymph nodes appeared to be clear of cancer. Good news, right? 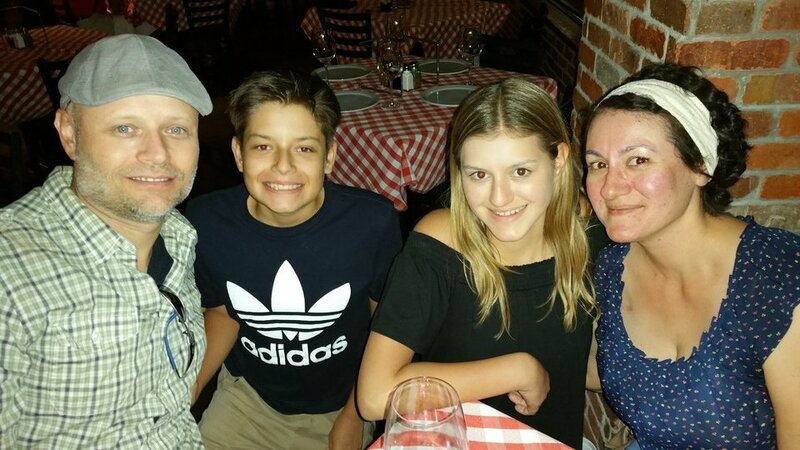 Unfortunately, new scans showed that what had been an inconclusive spot on my liver had now grown into a tumor, and my official diagnosis was changed from stage 3b to stage 4. The new tumor meant surgical treatment was no longer an option, and that medicine is my only hope. At that time my husband and I realized it was time to get a second opinion, which turned out to be one of the best decisions of my life. My new oncologist tested my cancer for genetic mutations. At the time, I had no idea what he was even talking about. Then I received a call from him on a Friday afternoon stating I have the EGFR mutation. I could hear the joy in his voice. After doing some research I came to understand that this was a very good thing, and within a few days I started to take a targeted therapy called Tarceva. My quality of life is way better than I would have ever thought possible. 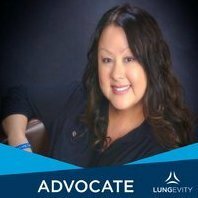 I’m now 37 and living with stage IV lung cancer, hoping that medicine advances faster than my tumors. During my initial treatment I was bitter. I did not want to hear “you can beat this” or “you are the strongest woman I know” or “you are a fighter.” I just wanted to get through my treatment and move on with my life.